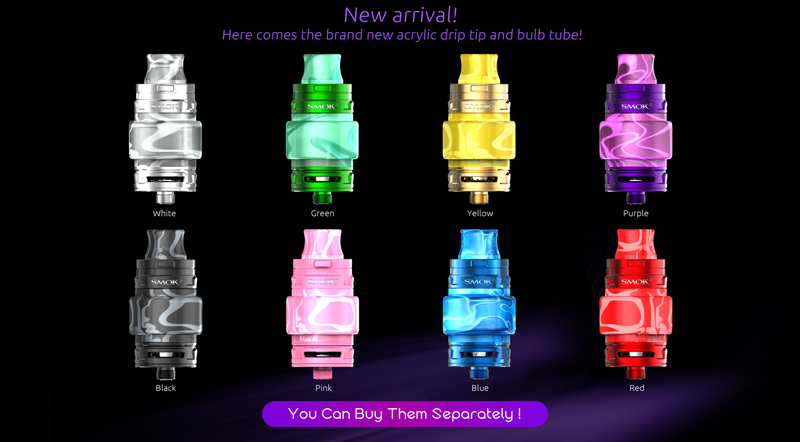 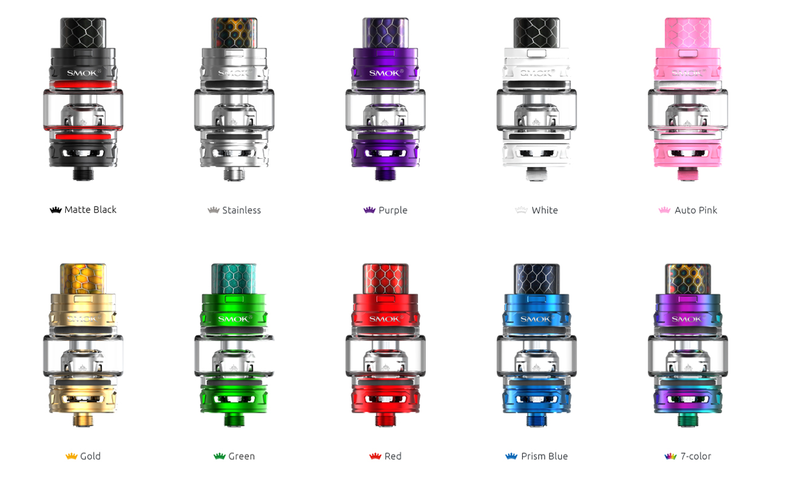 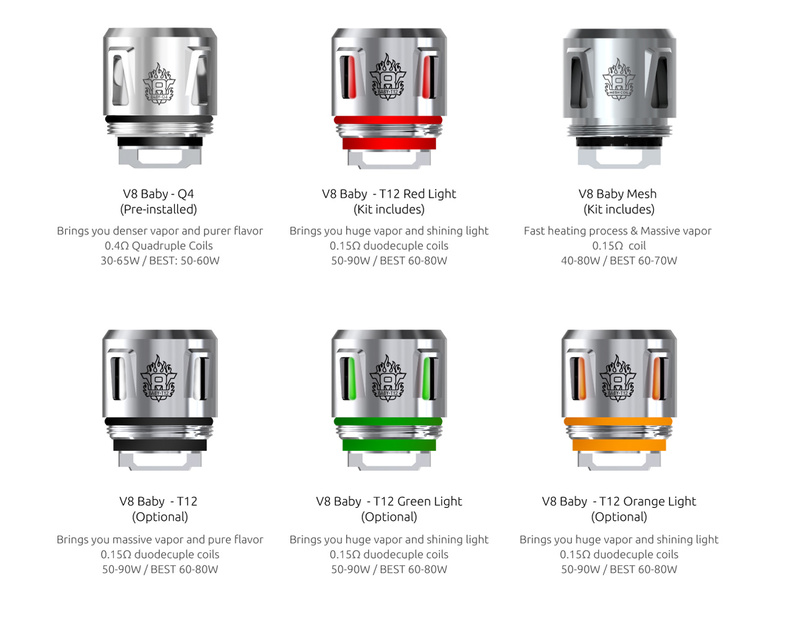 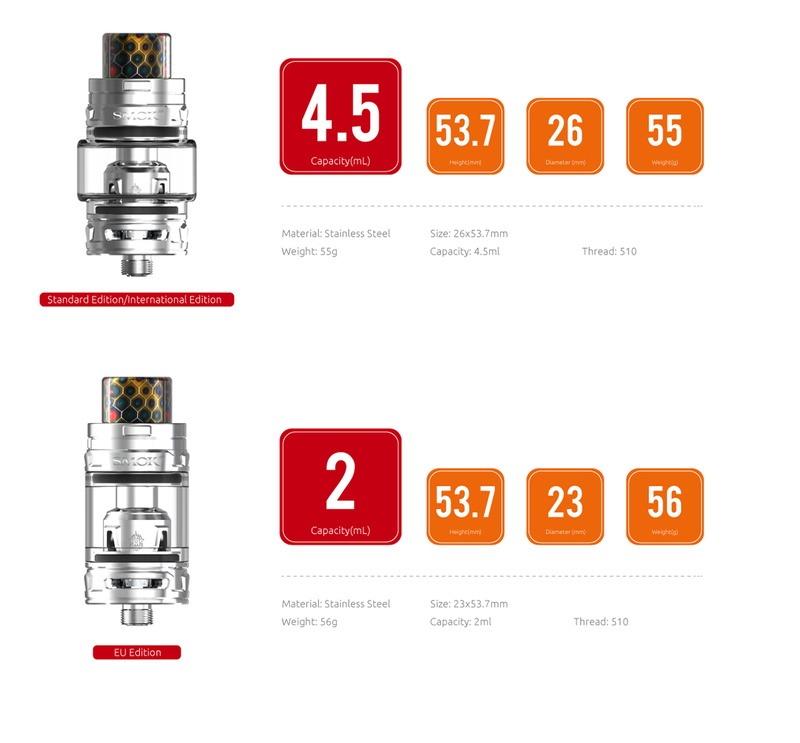 TFV12 BABY Prince is a new upgraded version of a TFV8 baby beast tank. 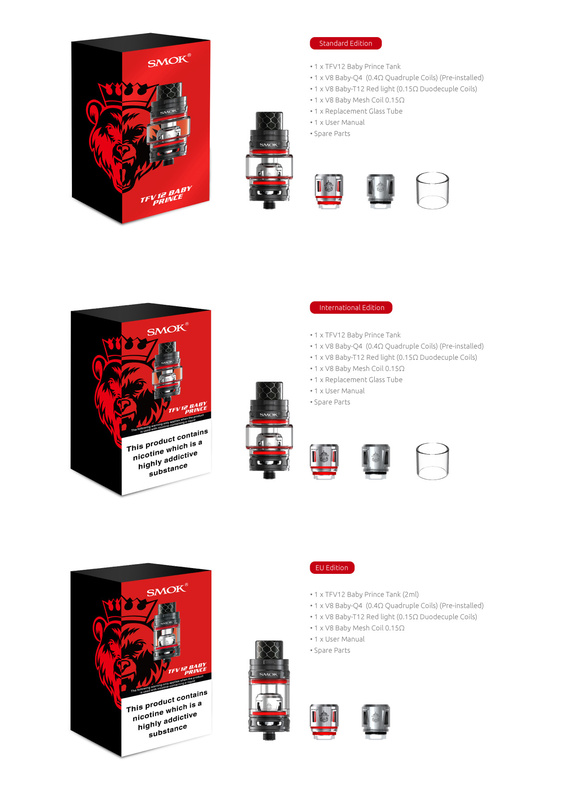 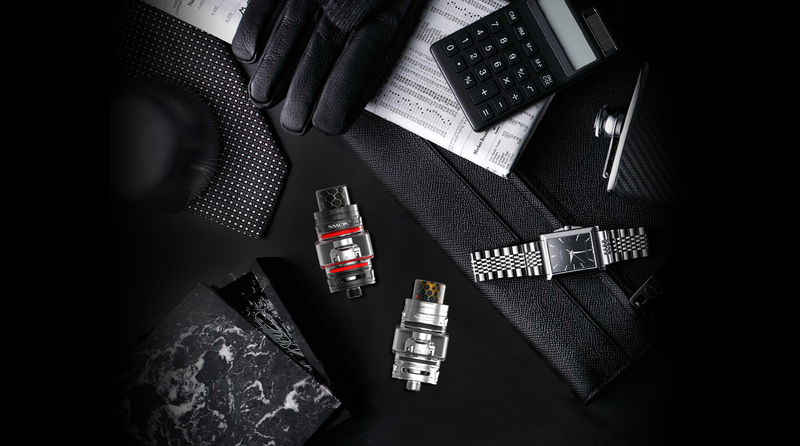 It has a unique crown style design like a bulb-shaped glass tube and features new and improved TFV8 Baby Beast atomizer heads for enhanced flavor and massive vape production using the similar wattage. 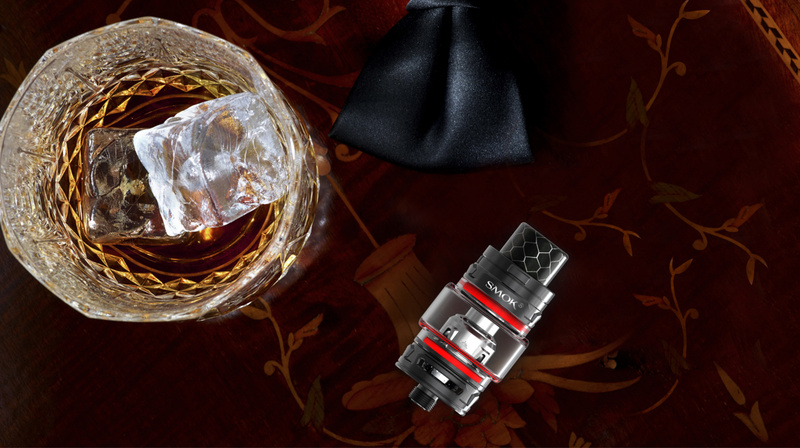 The capacity of the tank has been increased to 4.5ml of juice to enjoy longer vaping time. 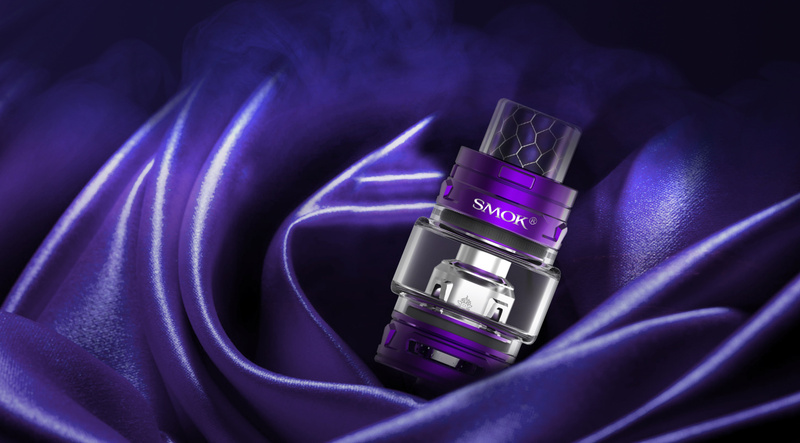 Additionally, nicotine free, 26 mm diameter tank along with a new rotary top fill design with a locking mechanism which can be easily unlocked with a press of a button for speedy and simple access. 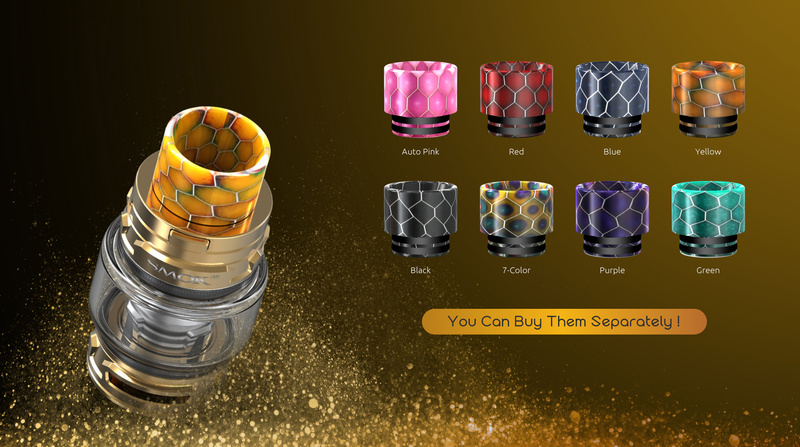 The TFV12 Baby Prince is topped off with a royal wide bore Cobra resin drip tip to make it visually appealing. 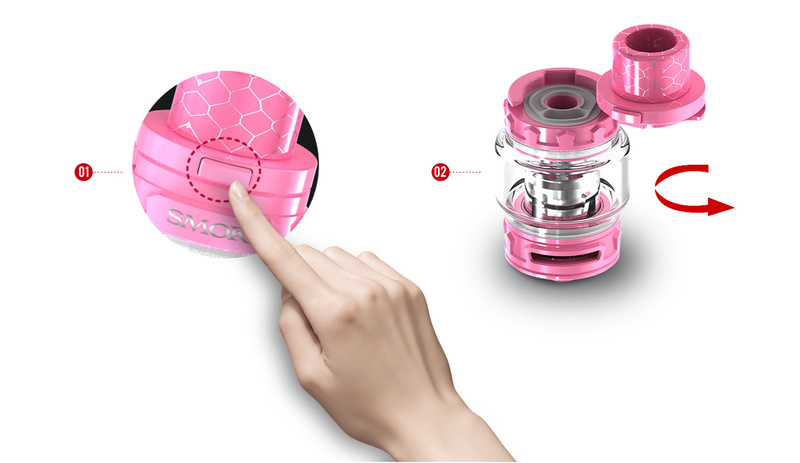 Due to the unique manufacturing process, two resin products will never have the same design. 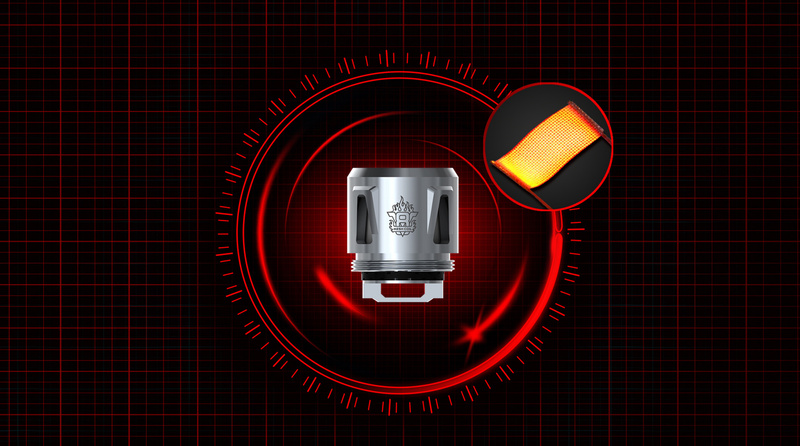 It is one of the leading tanks in this segment. 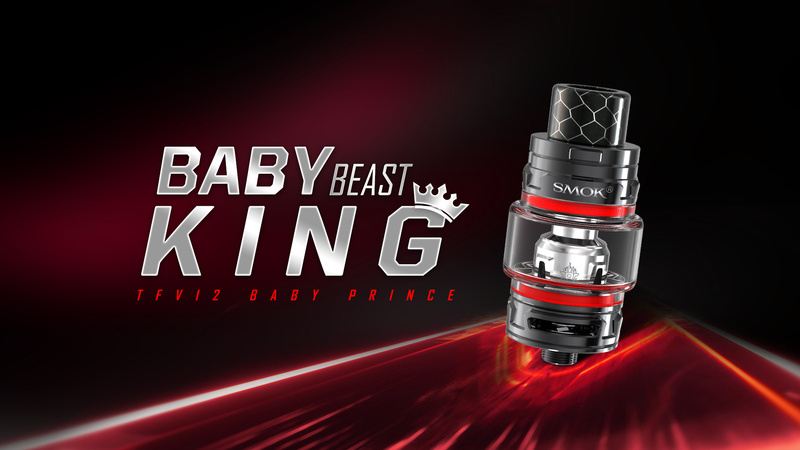 TFV12 Baby Prince employs convex glass tube— Bulb Pyrex Glass Tube #4, which can effectively enlarge the e-juice capacity.